For over thirty years, we’ve been defining the most important spaces in anyone’s life: the spaces inside a home. Today, we’re recognized as an innovator and trusted partner in home design, a leader in quality, craftsmanship, and sophisticated styling. 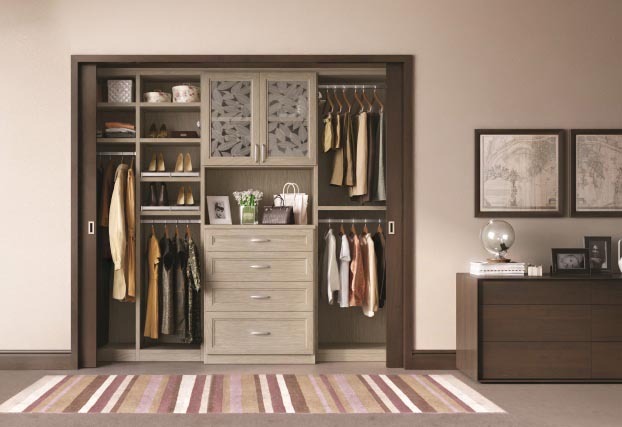 The California Closets brand is recognized by discerning consumers across North America. Our reputation for innovative solutions that meet customers' needs has created a fan club that repeatedly chooses us and refer us to their friends. Although 'closets' remains part of our name and identity, we provide a broad range of solutions for every area of the home. Wherever there's space that can benefit from clarity and order, we can help. 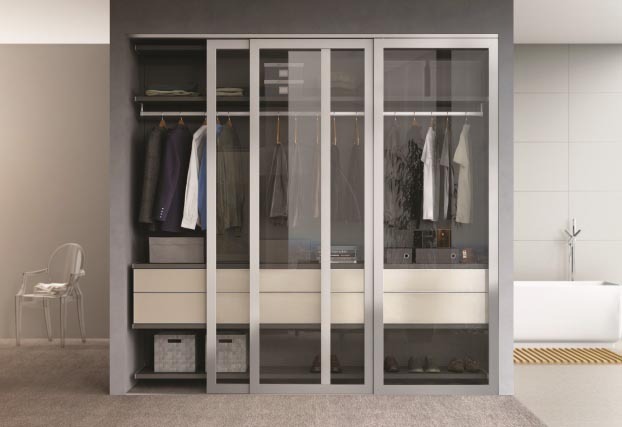 When you choose California Closets as your partner for customizing home spaces, you offer your clients a level of service, functionality, and craftsmanship no other supplier can match. Our service encompasses everything from initial design to installation and clean-up. We take care of everything while you get to provide your clients a huge benefit: innovative, intelligent, well-crafted spatial design. Contact your local California Closets to learn more about their Professional Partnership Program. Showrooms throughout the United States and Canada. Please click the below link for the name of your nearest sales representative. Luxurious walk-in closet with contrasting wood-grain finishes, illuminated shoe shelves, and pull out boot drawers with glass fronts. 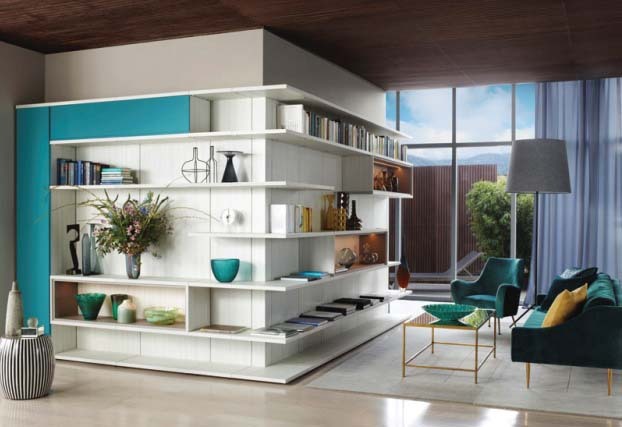 Contemporary library and media unit combination connects separate living areas with an exquisite wrap-around shelving system. 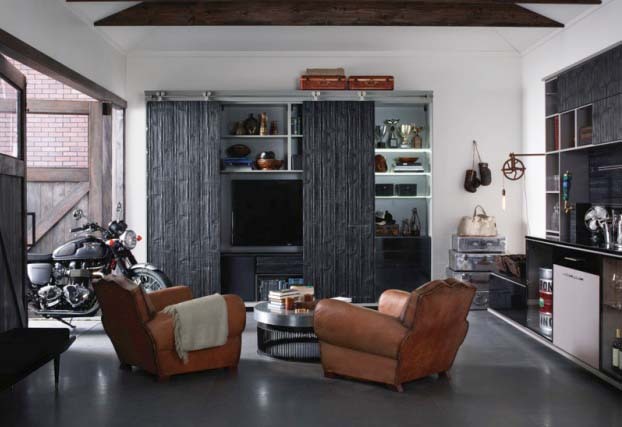 Rugged sliding doors hide a flat screen TV and storage for media components. 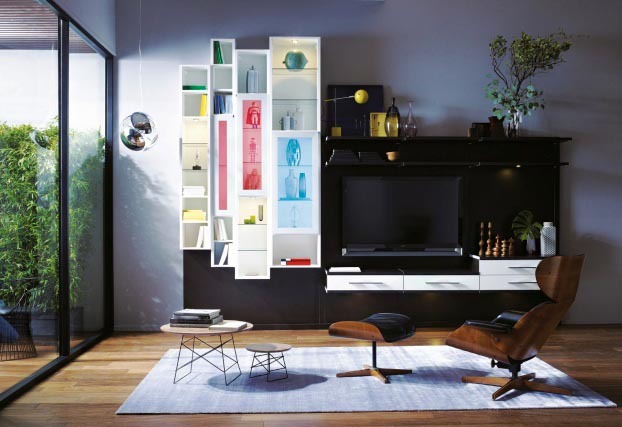 LED-lighted shelves. This stunning design incorporates chocolate leather door and drawer inserts, sleek olive high-gloss drawers, and a seating area. Virtuoso Entertainment Center in textured Venetian Wenge and Bellissima White finishes. 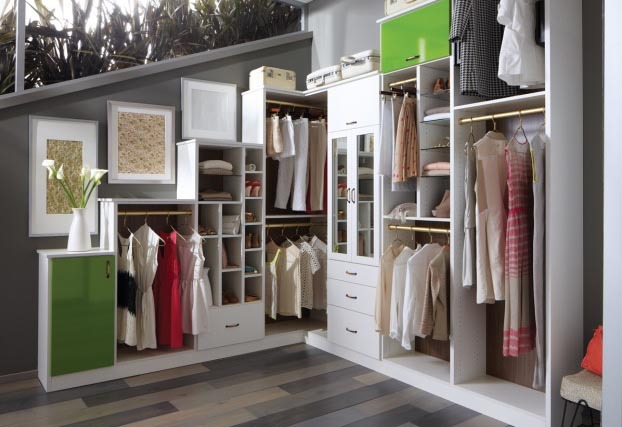 Walk-in Closet in beautifully textured Belissima white finish and apple green high gloss doors. 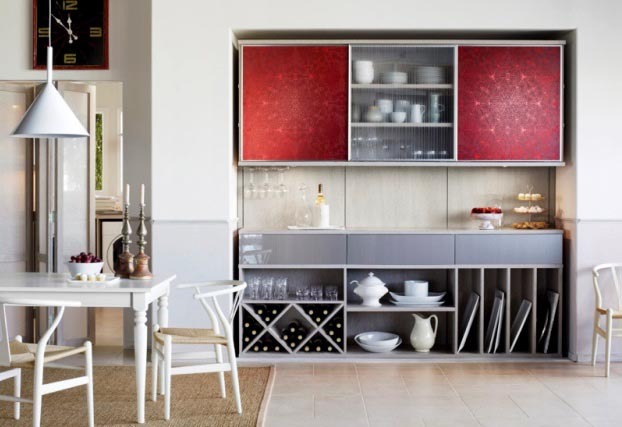 Hostess pantry designed with a deeply textured, Italian-inspired finish, high-gloss drawer fronts and stunning printed glass sliding doors. Custom designed reach-in closet with sliding doors. Designed with a deeply textured, Italian-inspired Cassini Beach finish and beautiful eco-resin fossil leaf doors. California Closets’ Virtuoso line offers sophisticated clean lines for those who appreciate modern European-inspired design. A splash of high gloss Aubergine doors accents, set against Hollywood Sliver Ecoresin door inserts transforms the baby room into a magical retreat. Home Office / Guest Room, in richly textured Milano Grey finish, accented with OJ and Silver Wisp resin door inserts. This stunning custom storage cabinet hides a fold-away bed. Ideal for a teen or guest room. As an industry leader, we embrace our responsibility to the environment and to our customers. We continuously pursue opportunities to improve upon the way we operate by aligning ourselves with partners who share our commitment to environmental sustainability.